You stamp someone with a "moody" label and all of a sudden you view them only as a moody person. You'll run on autopilot with them, calling them "moody" any time they try to communicate their emotions. By doing this, you won't even acknowledge what they're feeling. All throughout my childhood, I was labeled as the "moody" child. My parents, brothers, aunts, uncles, cousins... they all labeled me. I'll be the first to admit that I wasn't a calm child or adolescent. I always felt as though my moods were out of control, and I was simply riding a rollercoaster of tumultuous emotions. 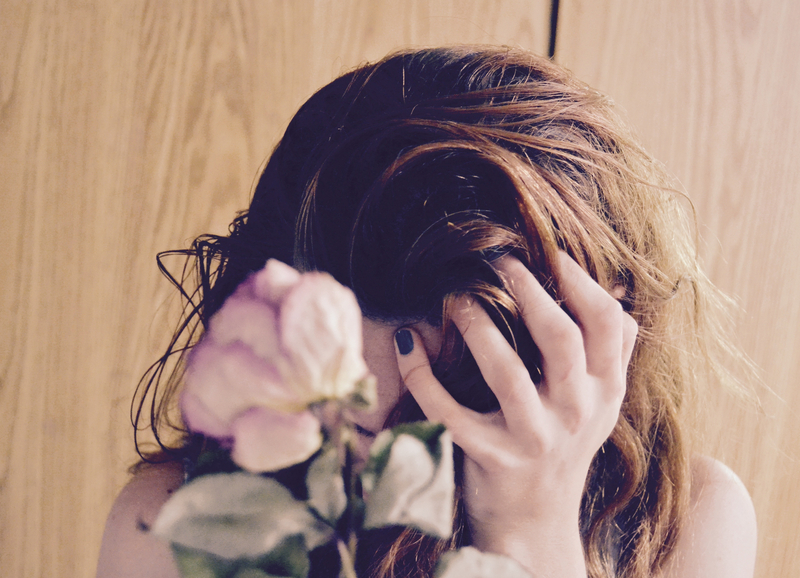 I had no control of my outbursts and I felt helpless. I would feel a wave of frustration so deep, my entire body would shake. It was horrible. My family began labeling me as a "moody" person, and I hated it. I felt incredibly misunderstood and hurt. I still feel that pain today, yet I now know the cause of that emotional rollercoaster. I was first diagnosed with anxiety when I was 21 years old. At that point, my anxiety was so bad that I would actually black out during anxiety attacks. I was never "moody," I was simply dealing with a nervous disorder that I didn't recognize nor fully understand. Despite the diagnosis, I still didn't quite understand the impact that anxiety had on my life. It wasn't until recently (over a decade later) that I finally get it. When you label someone as "moody," you are refusing to see things differently. Think of it like a stamp... You stamp someone with a "moody" label and all of a sudden you view them only as a moody person. You'll run on autopilot with them, calling them "moody" any time they try to communicate their emotions. By doing this, you won't even acknowledge what they're feeling. When you label someone as "moody," you may exacerbate the situation. If someone is going through a tough time emotionally and they are struggling with communicating how they feel, by labeling them as "moody" you may actually exacerbate the situation. Their emotions could escalate, causing them further distress, especially if they are dealing with anxiety disorders. Being labeled as "moody" causes a person to feel misunderstood, unacknowledged, and unheard. Imagine not being equipped with the tools needed to effectively communicate your emotions, and then when you try to do so, people react by calling you "moody." It's heartbreaking. As human beings we crave the feeling of being understood; we crave acknowledgment. We want people in our lives who truly listen, but that's not always the case. People such as myself who deal with anxiety disorders aren't always effective in the way we communicate or deliver our innermost feelings. When people shut us down with the "moody" label, we experience the deep distress of being misunderstood, unacknowledged, and unheard. Being labeled as "moody" can shut a person down. When you declare someone to be "moody" as they're attempting to express their feelings, you're simply throwing up a wall. This wall shows that you don't want to understand them; it acts as a barrier between you and that person's emotions. You shut them down. I know what it's like to feel misunderstood, unacknowledged, and unheard. I know what it's like to be shut down over and over again. And I know how much harder it makes it to actually get a handle on anxiety. So what should you do instead? A simple question such as "What do you need right now?" can make a world of difference. Stop using the label "moody." Stop putting up those walls. Choose to look at someone differently by offering them compassion and support. Not all of us have full control of our emotions, and even if it may not seem like it, we're most likely doing our best under the circumstances. Anxiety is real, and it's time for us to stop dismissing the negative impact it plays in people's lives.